Speak on matters where you are able to bring more clarity to others or help add to the discussion. Speaking from a desire to add something or just get your voice heard, will not add to your perceived level of articulateness. Let others speak about things that they are an expert in and add to that discussion through articulate questions. Do your research and know the alternative perspectives but be willing to quit sharing when you move outside your current knowledge. If you don't know your subject well but have to speak on it, then extensive research will help you sound like you know your stuff. This helps to eliminate the verbal pauses and may prevent you from saying something that does not make sense. It's okay if this slows you down a bit. 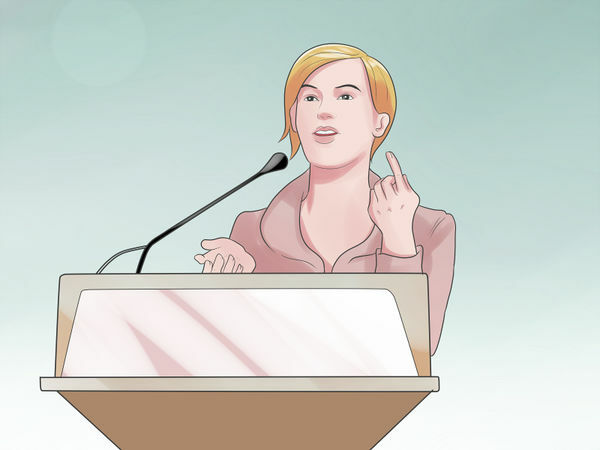 In fact, pausing before you give a real answer will make you look more thoughtful and intelligent than someone who just blurts out a string of nonsensical phrases as soon as a question is posed. If someone asks you a question and you really want to think it through, don't be afraid to say, "Come back to me in a minute. I need to gather my thoughts." You will sound much more prepared after you have time to think. Using a variety of words that mean that same thing creates more interest and color in your speech. If you do not understand the words you read, consult a dictionary or thesaurus. The easiest way to expand your vocabulary is to read, read, read. 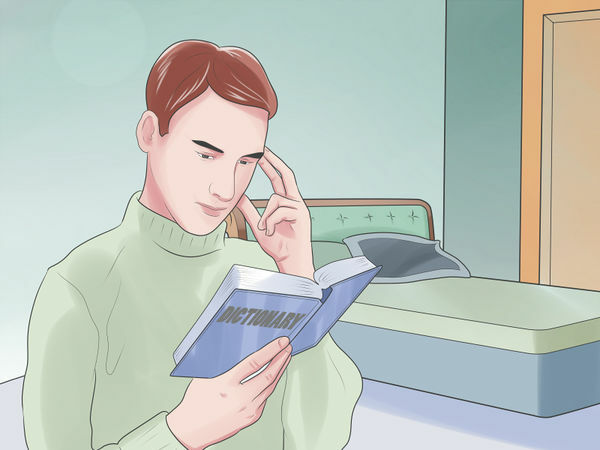 Knowing synonyms for words can be helpful, but you should make sure you use them correctly instead of using a word you've only ever seen in a dictionary aloud for the first time. You can create vocabulary flashcards and quiz yourself. Make a goal of learning ten new words a week. 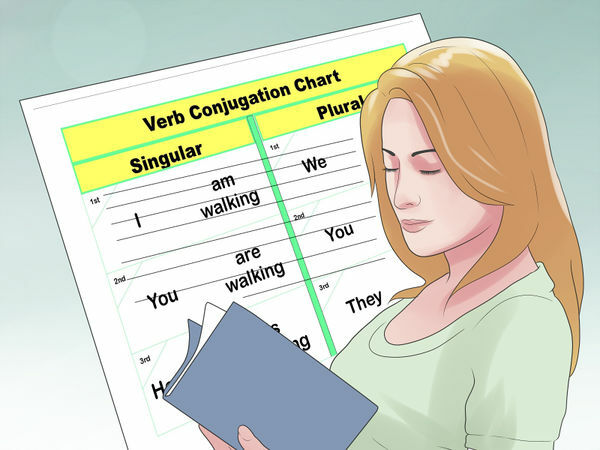 Shun slang and contractions. Instead of hi, use hello, instead of yeah, use yes. Never use huh, uh-huh unless in the context of a story or event….if you're giving a formal or even semi-formal presentation, then it's important to use intelligent, full words. 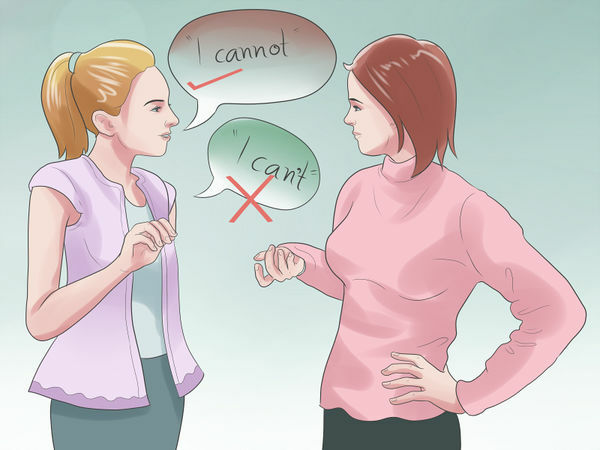 Avoid too many contractions (say "I cannot" instead of "I can't") and speak in complete sentences as much as you can, unless you are not doing so for effect. Study the proper uses of the words following words: I, me, him, his, he, no, not. They are commonly used incorrectly in cases such as double negatives and when listing people. When reiterating a fact you already stated, always say "as I said", never, "like I said". 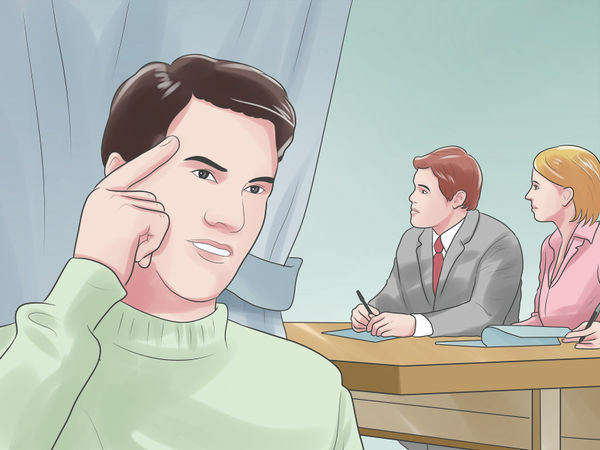 Here are some other tricks to know: You should say, "He and I were discussing…" instead of "Him and I were discussing…" You should say, "You can give your report to her or me," instead of "You can give your report to her or I." You should say, "Such as…" instead of "like…"
If you want to sound articulate and intelligent, then you have to look confident when you deliver your message. Make eye contact with the audience, sound like you really mean what you say, and speak loudly enough for people to hear you. If you seem comfortable with your message and like you believe in your words, instead of second-guessing yourself, then people will be more likely to believe in it too. Make your sentences sound firm and decisive. Don't end your sentences with a question or with turning up your voice slightly, or you'll sound like you're constantly asking for affirmation. Your posture can go a long way in making you sound more intelligent. Stand up tall and avoid hunching over at all costs, whether you're standing up, walking, or sitting down. 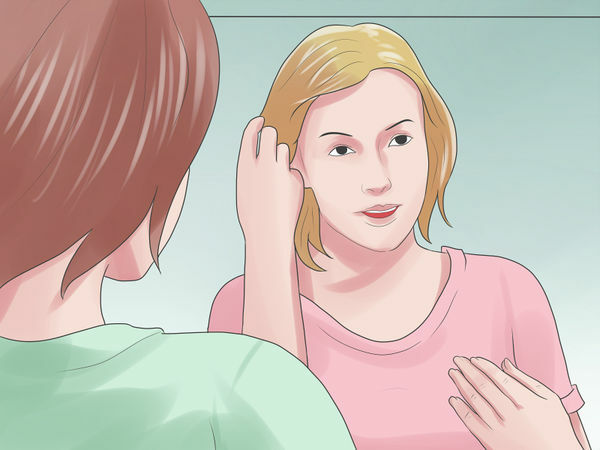 Don't cross your arms over your chest; keep them at your sides and use them to gesture. Elongate your neck slightly. Standing up tall will make your words sound more forceful and will make people believe that you know what you're talking about even more. 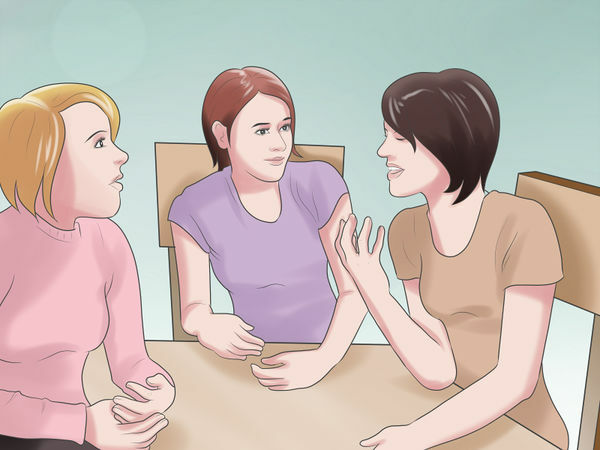 If you want to sound smart, then you can't just spout out your latest ideas to a group of people or your close friends without thinking about how you'll frame them in advance. 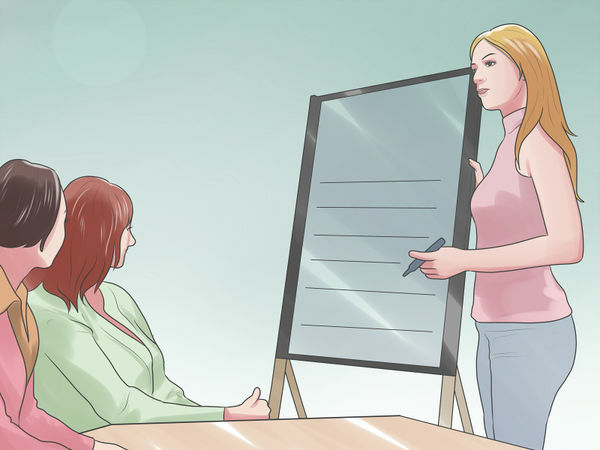 What you have to do is prepare what you're going to say, whether you're giving a class presentation or talking to your girlfriend about a relationship issue. Rehearse what you have to say as much as you need to in order to feel comfortable about saying what you have to say. It's important to practice and rehearse, but it's also important for what you say to sound natural. Therefore, you should know the material well enough to change things up if it becomes necessary. Saying more by saying less can make some people shut down or quit listening. Add content to discussions that is as condensed as possible without being vague. Talking until you get to your point will ensure half of your audience has already tuned out. State your point up front and people will know what you are trying to elaborate about. If you have to give a speech and there's a time limit, don't squeeze in the thirty thoughts that come to your head. Pick the three most important ideas, and elaborate on those. 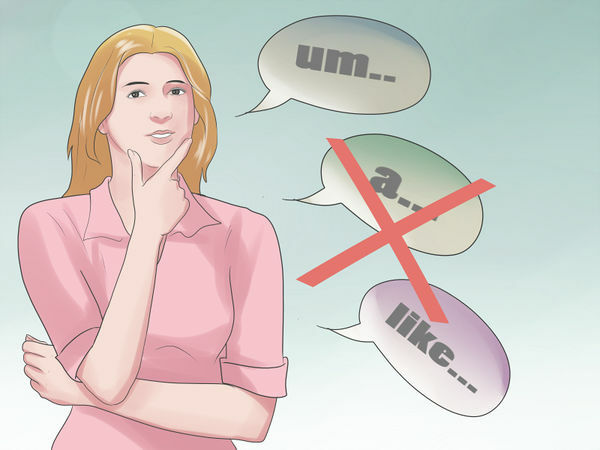 Words such as um, a, like, etc... degrade and detract from what you say. They disturb the flow of a sentence and make it detached. A nonverbal pause is much better. 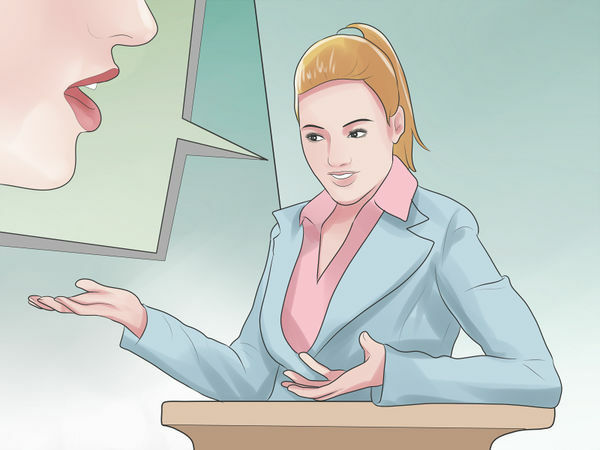 When floundering for words, a nonverbal pause, placed correctly, gives the listener the effect of a dramatic or studied thought. It confirms your control over what is being said. Speaking more slowly, eliminating distractions, and making eye contact will also help you stick to your message. Another way to speak more clearly is to speak more slowly. You may feel that if you rush and say everything you wanted to say, that you'll be able to get it over with and make people see your point more clearly. However, if you take the time to slow down, think about what you have to say, and pronounce your words in a way that won't make you mumble or confuse your audiences, then you will actually be more well-spoken. 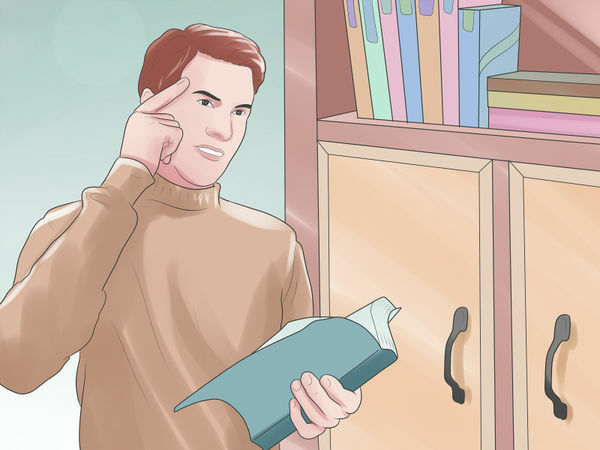 You don't have to speak…so…slowly…that you feel like you're pausing between every word, but pausing in between sentences to give yourself time to prepare your next sentence will do the trick. If you speak too quickly, there's also a chance that you will say something that you regret or that makes absolutely no sense, and you'll have to do some backtracking to make your audience understand what you really mean; you can avoid all that by speaking slowly to begin with. If you keep your hands in your pockets, you are more likely to stutter, forget what you have to say, or to confuse your audience. 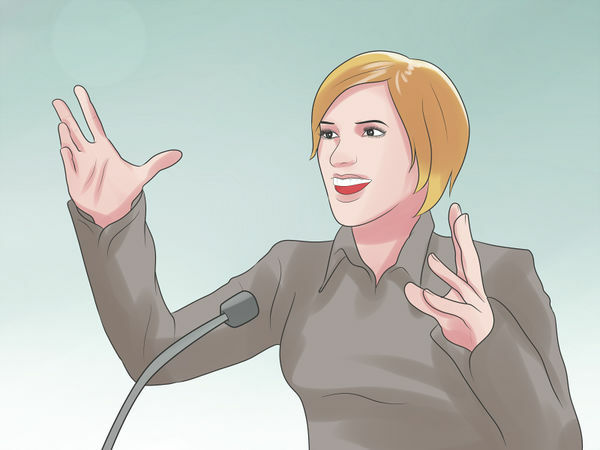 That's because using your hands to gesture can help you explain what you mean and can get your whole body into the speaking process. Communication doesn't just come from your mouth, but from your posture, your eye contact, your gesturing, and your body language -- it's part of a whole package. So the next time you speak, take those hands out of your pocket. 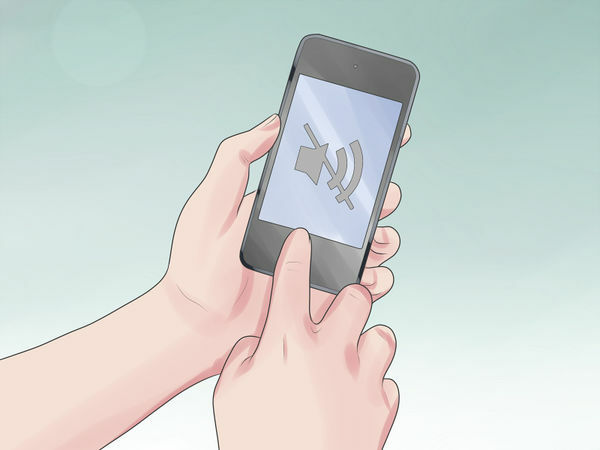 Even if you don't use them to gesture a ton, you'll feel more comfortable if you gesture a little. 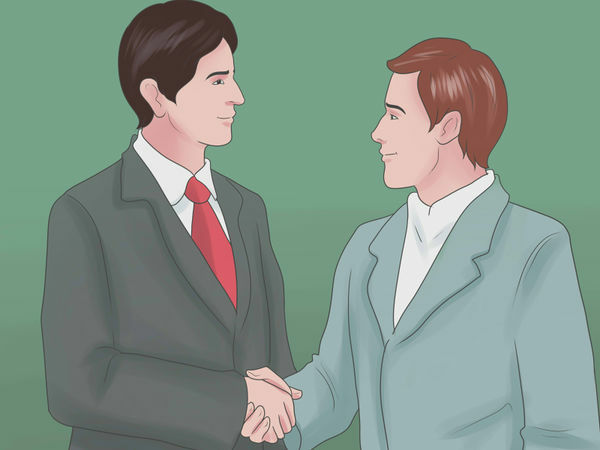 Keeping your hands in your pockets will also make you look less confident, which will make your message look weaker. Another way to be more well-spoken is to be really focused on your message. You may be saying "um" and "uh" or forgetting your train of thought every few sentences because your phone keeps vibrating, because you're running late, or because you're worried about a meeting you have later that day. So, stay in the moment and focus on what you're saying when you're saying it as much as you can. If you are focused only on your message, you'll be able to deliver it more articulately, and your audience will pay more attention, too. If you want to make a lifelong effort to be a more articulate person, then you have to live a more intellectual life. Read contemporary and classic fiction to be immersed in the world of literature. Read non-fiction and the paper to be up-to-date. 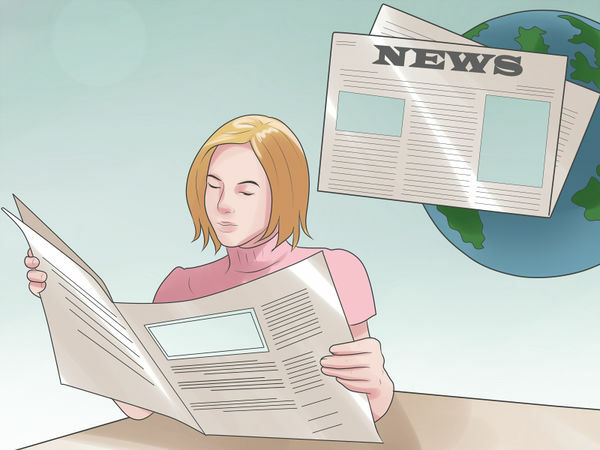 Watch the news to have a better sense of what is going on in the world, and how relevant issues are expressed. Talk to other intelligent people and make a habit of communicating wisely. Sure, reading an extra book a month or reading the paper every day may not immediately make you more articulate the next time you have a conversation, but you will able to see it impact your speaking and cognitive abilities in the long run. 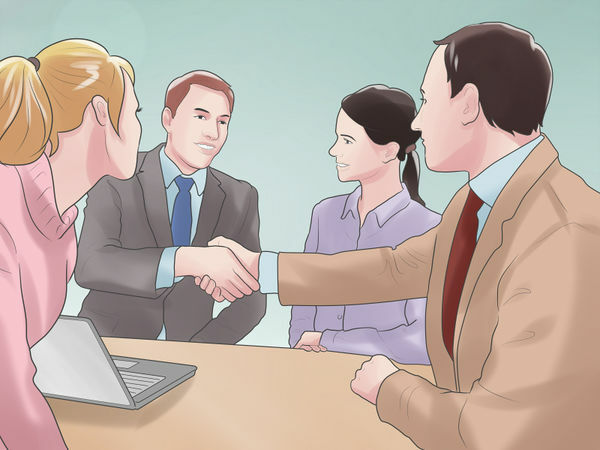 Another way to be more articulate is to work to have a strong sense of the group of people you are talking to. If you're giving a presentation on a poet to a group of literary scholars, then you can assume that they understand the vocabulary and concepts you are using; but if you're teaching a group of fifth-grade students to write their own poetry, then the words you use, and the level of explanation you give, will have to be very different depending on who you're talking to. Being a complete genius won't help you at all when talking to a group of nine-year-olds; to be a professional at being articulate, you'll have to adjust your words and speech to your audience whenever it's necessary. If you tell a story, you are more likely to get rid of all that verbal filler or the hesitation, because you will know it like the back of your hand and will be able to move more fluently from one sentence to the next. If you have a story that illustrates your point very well, then you should use it in a speech or when you talk to people, and you will sound more animated and articulate because you'll be speaking from a place that makes you comfortable. Practicing telling the story in advance, of course, can help you fine-tune it, even if you think you know it pretty well. 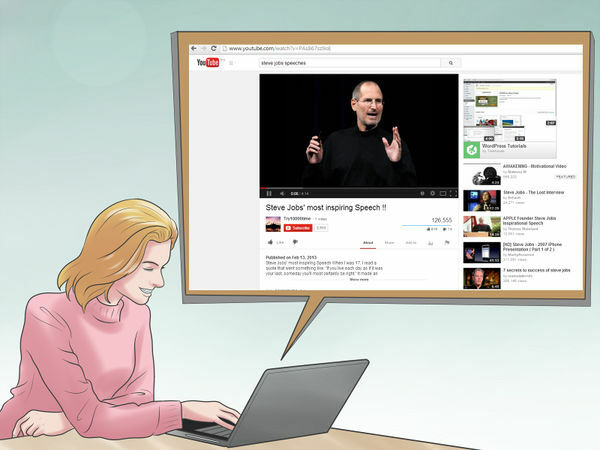 Go on YouTube or another online source and watch some great speakers, such as Martin Luther King or Steve Jobs, and see if you can learn anything from them. You can also read some great speeches, such as "The Gettysburg Address," to see if you can pick up on how to impress and inspire people. You can also just watch inspiring speakers on the news who are particularly well-spoken and thoughtful, and see what you can learn from them. Take notes while you watch or read. You'll see that you can learn a lot about how to be articulate just by watching other people who are well-spoken. 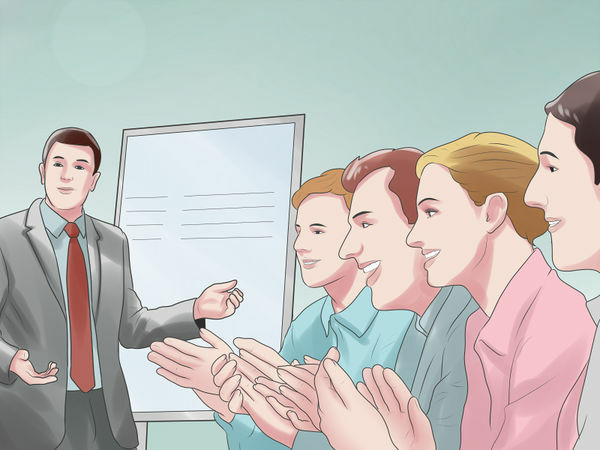 Another way to wow a crowd or a co-worker and to get your message across is to make sure that your message is worth listening to. Though telling an amazing and inspiring story about how you finished a marathon with a sprained ankle may not be perfectly stated, if you make the story interesting enough, people will be able to overlook the times you pause, stutter, or use verbal filler. So, the next time you're nervous about talking to people, don't just focus on how you state the message -- focus on making the message itself as engaging as possible. To make your content more interesting, you can not only trim down the extra verbiage, but you can also figure out what would be the most captivating thing to tell your audience. 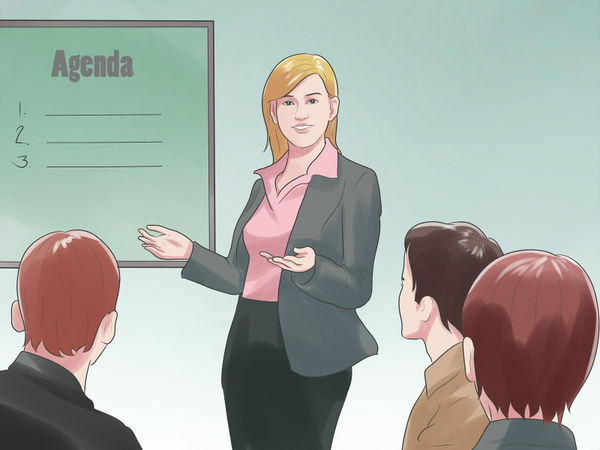 This will put you in touch with like-minded people and will offer the time and place you need to give speeches, captivate audiences, and learn to be more articulate. If you're feeling shy or afraid to speak in front of audiences, this will give you the push you need to become a more confident, articulate person.